Being the winner of the BASIS National ICT award 2018 in Bangladesh, IID’s ‘Bibhui’ got nominated by BASIS to represent Bangladesh in the international APICTA awards 2018. BASIS National ICT Awards is an annual and copyright program of Bangladesh Association of Software and Information Services (BASIS).Winners of the BASIS National ICT Awards represent Bangladesh at the annual Asia Pacific ICT Alliance (APICTA) Awards. This year, IID’s Bibhui was awarded as the champion in ‘Inclusion and Community Services’ category at the BASIS National ICT Awards 2018. 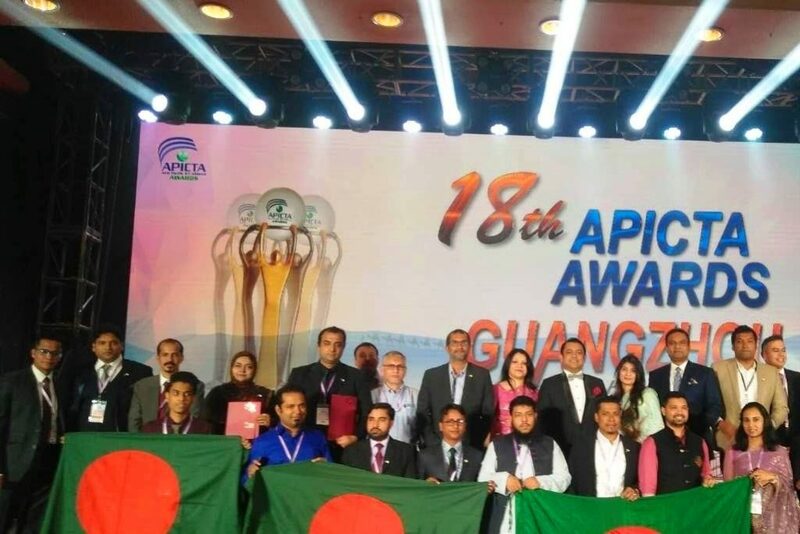 APICTA awards 2018 was held in Guangzhou, China from 9-13th October 2018. Apart from being a competition, the event was a 5 day long program with networking sessions, presentations, networking dinners and showcasing of projects. During some of the networking sessions of APICTA 2018 at Guangzhou, several other participants exhibited their interest in ‘Bibhui’. Some of them already downloaded the app in their mobile phones which opened up new scope for ‘word of mouth’ sharing about the app. In total, 266 projects from 15 Economies attended the event which provided a great scope of product promotion. Acknowledgment from a globally recognized platform increased Bibhui’s credibility which will further enhance Bibhui’s user base, support informed decision making in migration sector and consequently improve overall migration governance.